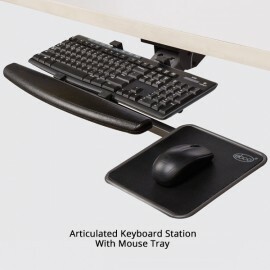 Articulated Keyboard station with 360° swivel enables user to move keyboard freely as per their sitting posture. 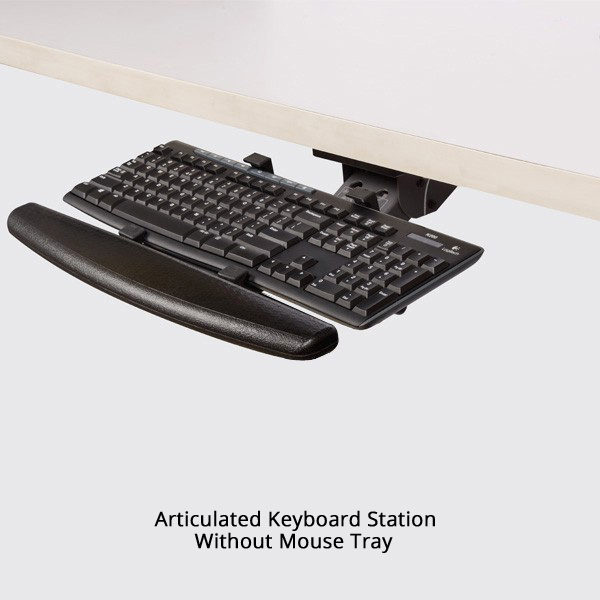 Soft palm rest and a stoaway soft pad provides rest to your wrists while working. 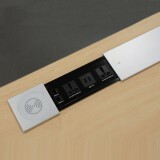 Single knob system enables user to adjust height and tilt angle as required (Tilt angle +10º to -20º). Spring assisted to help counter balance. Low profile design for maximum leg room. stopper bush at the rear end.(Ref. Fig.1) Use pan head wood screws provided. 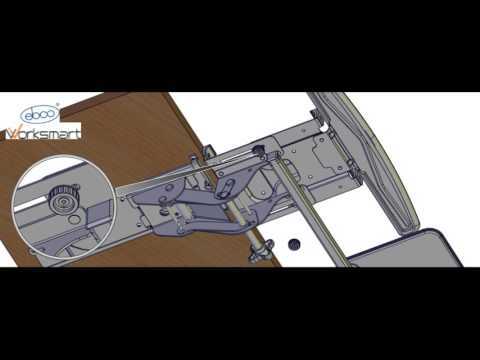 Slide the rear tray assembly into the retainer plate (Refer Fig.2). Fit the optional Mouse tray (Ref Fig 4). Use M6 x 27 screws with spacers as shown. Fit the front tray with M5 x 11 sq. neck screws and plastic insert nuts (Refer Fig 5). Use handle to adjust angle, height as well as for storage.